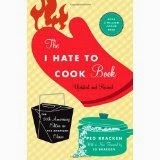 'housewife,' Peg Bracken wrote a cookbook called the 'I Hate to Cook Book,' so I've never really been alone in my distaste for the job--no pun intended. Back then I didn't know if I liked to cook or not. I soon decided not, after being left in the kitchen with the dishes a few times. I can occasionally make a decent meal, but I don't like to. There are definite advantages to letting people know you don't like to cook. Nobody expects you to come laden down with cookies or the latest casserole, or to "write down that two-page recipe, and hurry because I have to leave." 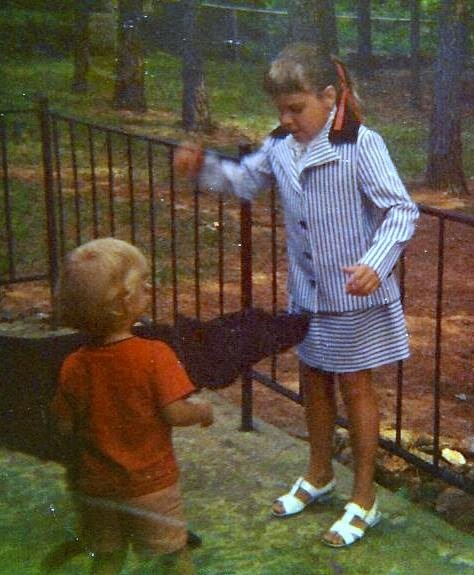 Remember my friend from across the street, JoAnne? She once wisely said, never use a recipe with the word 'meanwhile' in it. I do have some pride, however, so I never go to a potluck without food, and I don't buy it on the way. I may order it ahead, but usually I make whatever I bring. I doctor up Kroger's potato salad with a few hard-boiled eggs, some sweet pickle cubes, and some Miracle Whip and put it in a bowl - but I never claim it as my own. If I bring ribs or chicken, I have barbecued them. It's all a matter of some vanity, a little wisdom, and very little talent. 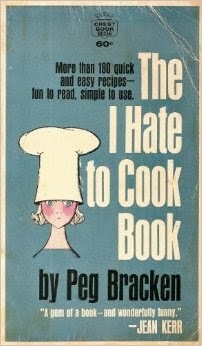 In spite of that I'm going to give you two recipes. Of course they're easy recipes. What did you think? One is from my mother and one from a little cookbook that I've had since the 1970s. 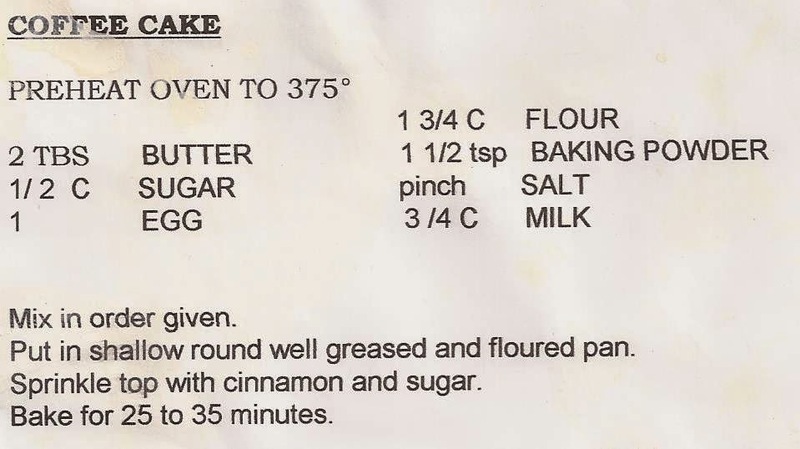 The one from my mother is what she simply called coffee cake. It is very simple and you always have the ingredients if you have a kitchen. Instead of slicing this one like a cake, cut it across in one-inch slices and serve it warm with butter. The other recipe is a very quick side dish, salad, or appetizer. If you make it ahead, make a lot. You can toss the leftovers in a lettuce salad. 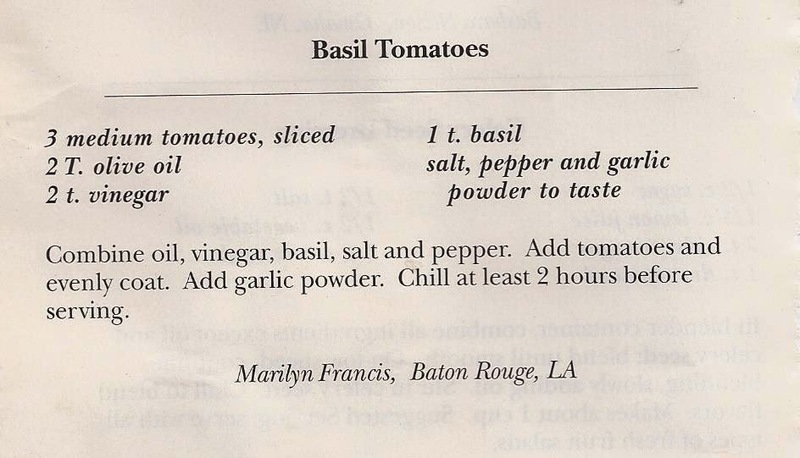 The picture is from the Caldwell Upchurch Realty cookbook from the seventies, using regular tomatoes. I use Roma tomatoes because they're easier to slice into the right size for a side dish or a quick salad. That Bentley Farm Cookbook you see in the picture above is a good book to have, too. 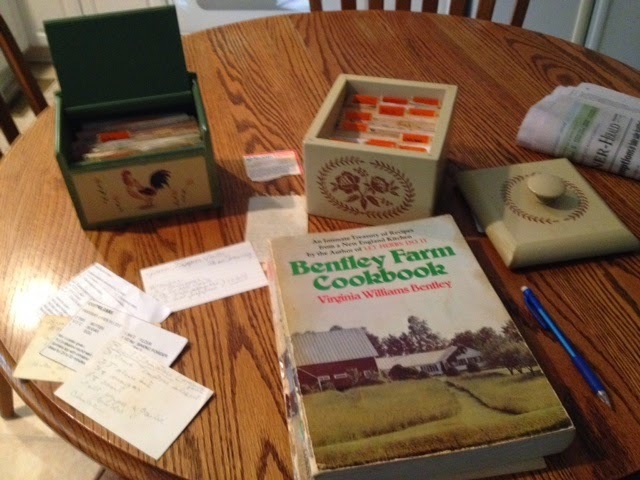 Lots of old- fashioned recipes, and all written in Virginia Bentley's hand. My sister gave it to me. In 2002, I took a Maymester Course in Creative Writing at the University of Georgia, taught by Judith Ortiz-Cofer and Kevin Young. The Maymester classes were taught for three weeks in May, 8-5, every day, and carried full credit for the creative writing of fiction and poetry. The class was held in the English Department, so every day I had to walk from my car up the hill to Park Hall. The sidewalks were not in a direct line to the building. I was 69 years old, so after a few days of following the walks, I did something I had never done before, I gave myself permission to walk on the grass. Guest writers would visit every day at about 4 p.m., talk for a short time, and then be available for a Q and A session. Not only did we have the advantage of two professional writers, Dr. Cofer and Poet Kevin Young, but we also were privileged to hear from other professionals in the area. The class was one of the most enjoyable I've taken at the University level. Our final assignment was to be read on the last day of class to both classes and anyone else who wandered into the room. I had written some short stories, but I chose to read a poem I called Dreamer Cook. It's a little on the silly side. "Best cook in the neighborhood," they said. while she dreamed in somedays . . .
no more noisy clanking of pots and pans. bouncing out upon her willy-nilly. globs of wet flour on the floor. or garbage jammed in loud disposals. and smelling of sweet yeast. would stretch the pasta and the cookie dough. sturdy mounds of whipped cream. This is the week of the ice bucket brigade across the internet and TV, and I'm sure you've seen them all.